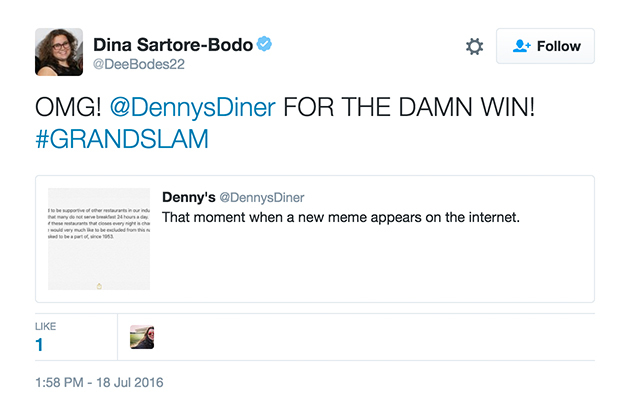 Diner food fans ate both posts up. 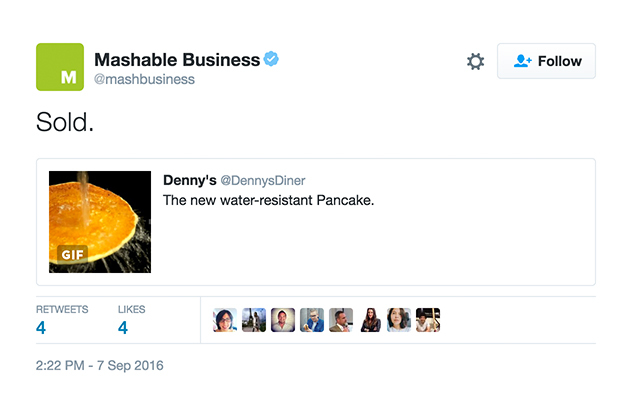 The tweets generated 13.4 million earned media impressions and 18 different media placements, including mentions/features on Forbes, msn, The Huffington Post, People, Complex, BuzzFeed, and Digiday. 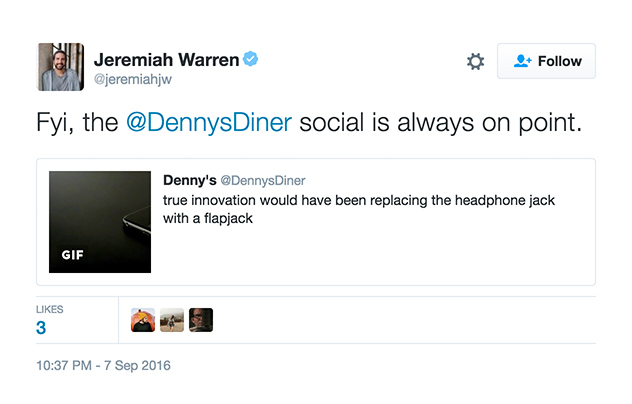 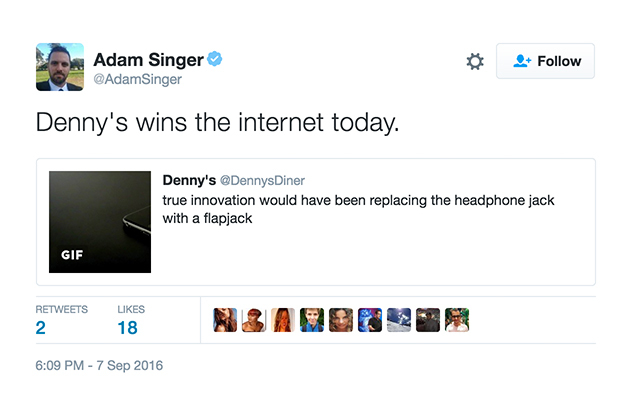 Even Carson Daly from The Today Show appreciated our stomach-focused solution for the headphone jack debacle. 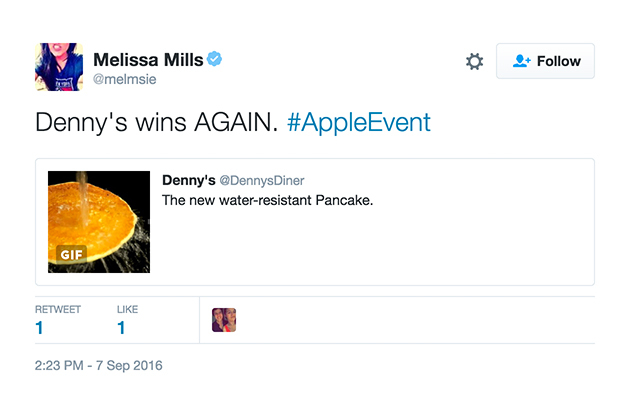 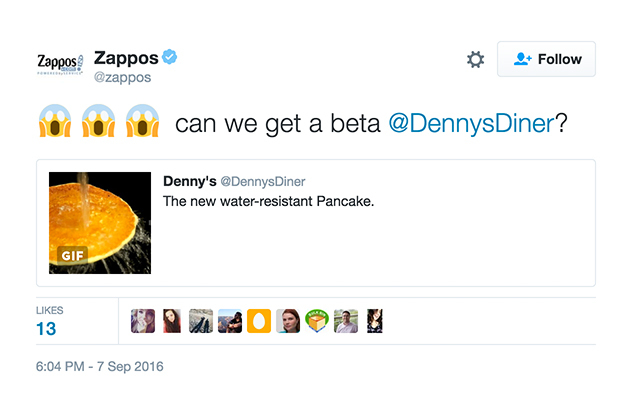 All in all… It was another successful Apple keynote… for Denny’s. 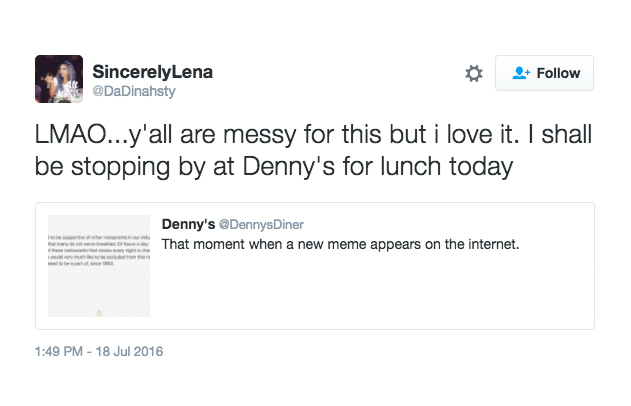 In addition to the numerous media mentions including Perez Hilton, Refinery 29, US Campaign and PR Week, the internet heard our plea and decided to take action. 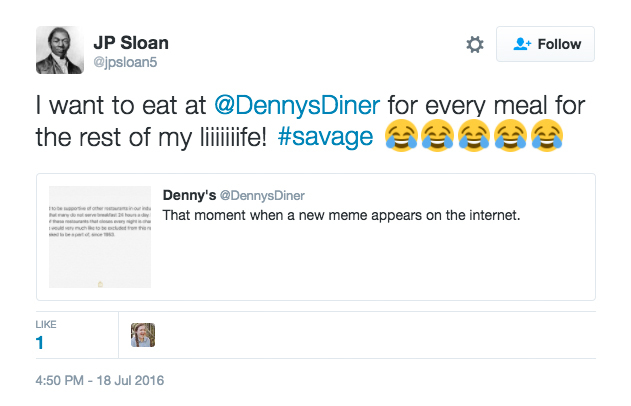 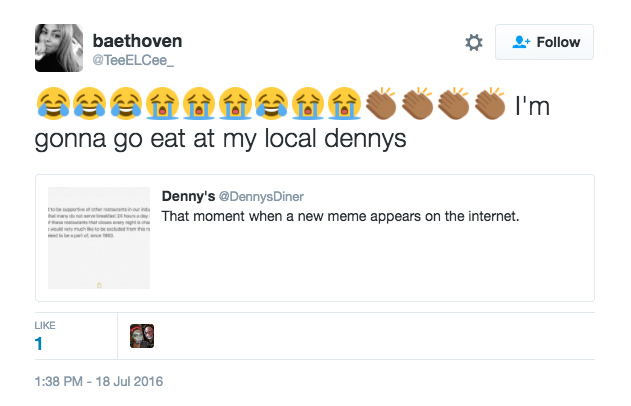 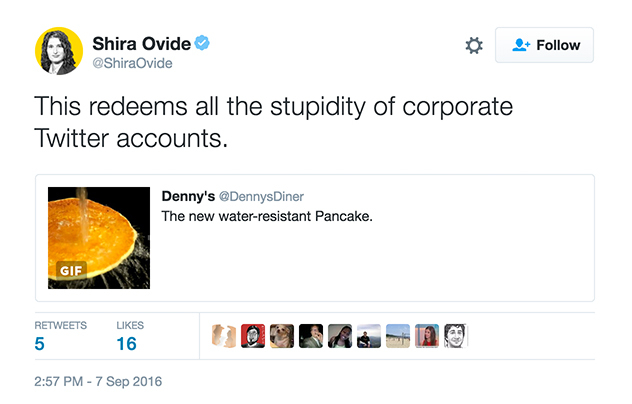 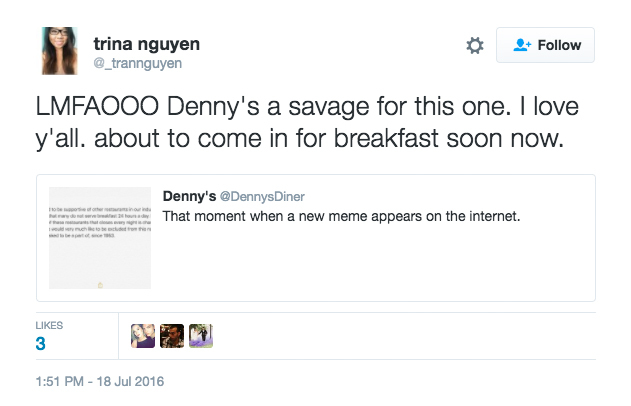 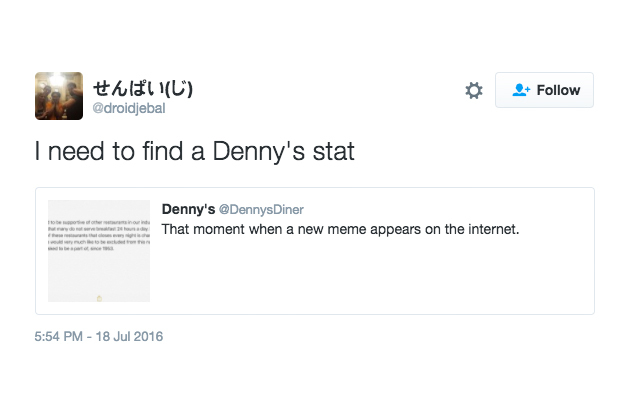 By eating at Denny’s. 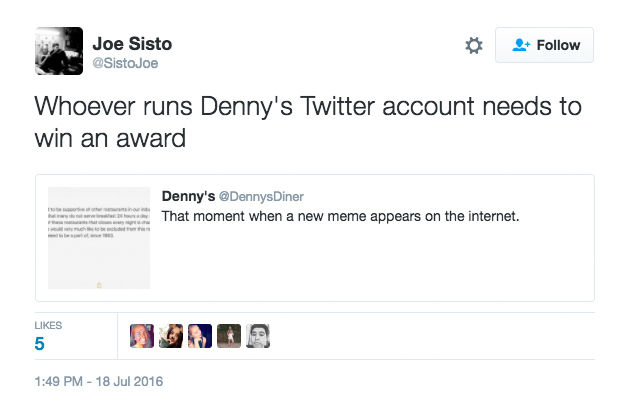 And tweeting back at us with messages of love, support, and most-importantly, how we deserve to win awards. 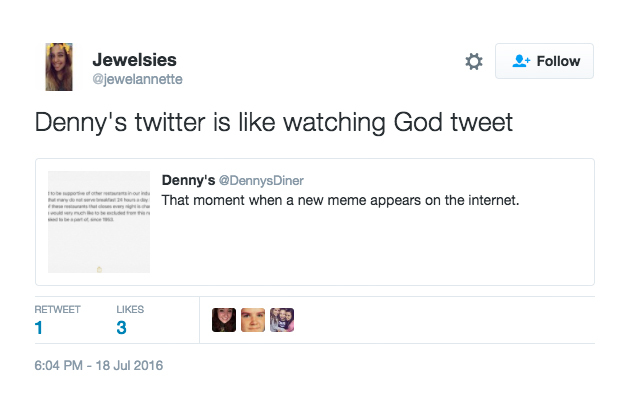 And based off the old adage, “the internet is always right,” we tend to agree. 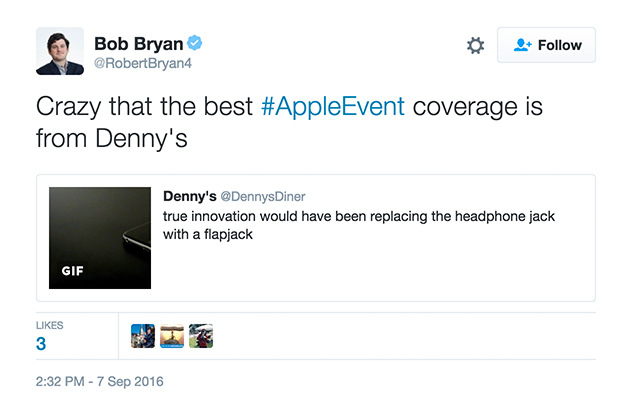 Real time responses aren't always about having a 'war room' at the ready to respond during a cultural event. 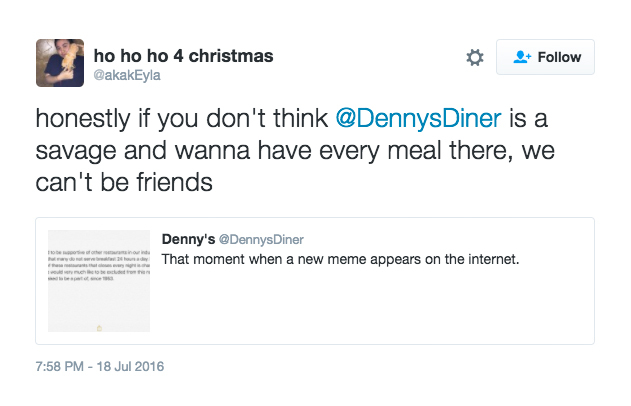 It can also just be making sure you are plugged in to popular culture and joining the conversation when it's at peak saturation.